BSGE has had a long-standing tradition of “Color War Wednesday” each year during Spirit Week, organized by the senior council. On this day, each grade is assigned a different color to wear, and despite its name, the day has always generated friendly rivalries between the grades, and more importantly, school spirit. But this year on Wednesday, October 29, sophomores rebelled against seniors by wearing black, instead of their assigned color, yellow. For the past 3 years, the students from the class of 2017 have worn red. However, this year’s transition from wearing red to yellow angered many students. Some claimed to have asked a few seniors to change the 10th grade color to maroon, and instead been told to “stop complaining.” Many decided to protest against this by wearing the seniors’ assigned color: black. “Yellow is a really ugly color,” a tenth grade student says, “so we wore black to show the seniors that they don’t own black. We can wear it too.” An anonymous sophomore adds, “Yes, seniors assigned the colors, but if they gave themselves black, we can give ourselves black too. Why not?” What started out as a mild turmoil among a few students in the 10th grade against the color yellow became a successful “revolt” that inspired more than half the grade to wear black. The “Color War Wednesday” poster in the cafeteria, shown here ripped and damaged after 10th graders attempted to change their assigned color. Other seniors were surprised about the reason why 10th graders decided to wear their color. They didn’t know about the sophomores’ animosity towards the color chosen for them prior to Wednesday. “They could’ve came and talked to us. It’s not like we don’t talk to them. In fact, people from our grade are friendly with several of the sophomores,” states Max Fischman ’15, a senior at BSGE and member of the Yearbook committee. The color war tension may have changed the seniors’ plans for the underclassman pages in the yearbook this year. Some teachers also had thoughts about the incident. Mr. Sheridan, one of the school’s art teachers, had mixed feelings about it. “What the sophomores did showed their class spirit… they were able to do something together. But I don’t know if I would’ve just picked a different color rather than co-opting the seniors’ color, because you have to assume that the seniors would become offended. 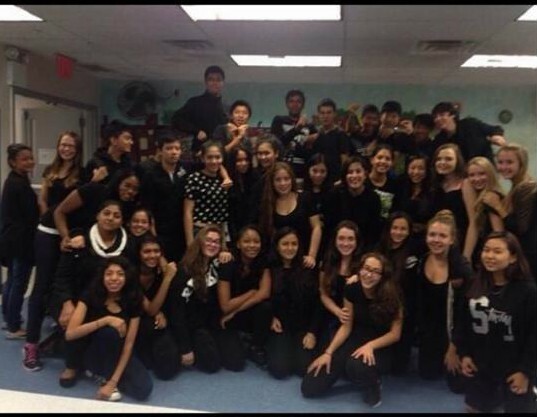 Sophomores pose in the cafeteria on Wednesday wearing black, the assigned color for seniors. Although several sophomore students wore black as a “movement,” many wore black for other reasons. When asked why he chose to wear black on Wednesday, Lap Tran ’17, replied: “I only wore it because others told me to. It wasn’t actually anything important except the fact that all my friends were wearing black, so I decided to follow them.” In fact, many of the sophomore students wore black without knowing what was happening. 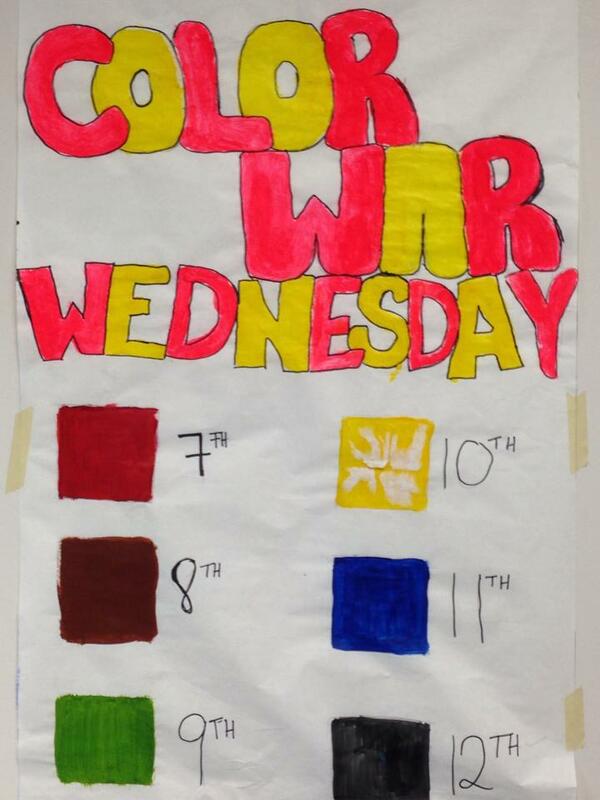 Despite the Spirit Week tensions and social media outbursts, students of all grades agree that the Color War, which appeared to have turned into a real war, is ultimately a trivial matter. Many seniors and sophomores have recognized that they acted immaturely in responding to the other grade. Most agree that the purpose of Spirit Week is to unite the school and not divide it, and therefore have reevaluated their anger over Color War Wednesday. Next Post What’s a 5SOS?